1. Click on the Apple on the upper hand corner of the screen. 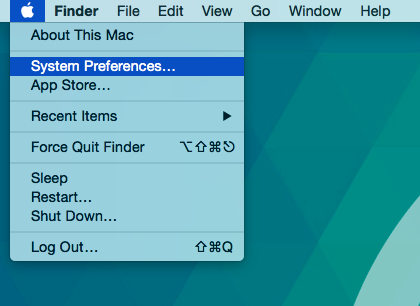 Then click on System Preferences. 2. 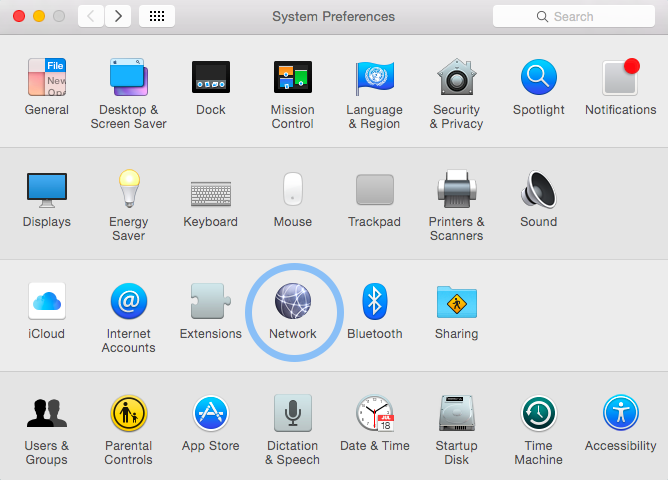 In System Preferences click on the Network icon. 3. When the network screen pops up, click on the + icon in the lower left hand corner of the screen (you must have administrator privileges). 4. The new network screen will pop up. Under the Interface drop down list select VPN. 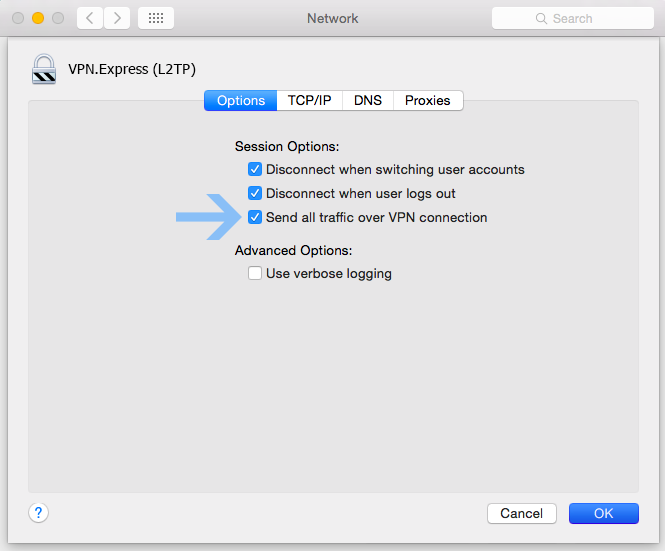 Under the VPN Type drop down list select L2TP over IPsec. In the Service Name field you can type anything you want, we recommend that you call the service VPNEXPRESS (L2TP) and Click Create. 5. The settings for the new VPN connection will now be displayed. In the Server Address field type the name or the IP address of a VPNEXPRESS server. Login to your profile on the website and go to our server list. All available server addresses are listed there. In the Account Name field type your VPNEXPRESS username. 6. Click on the Authentication Settings… button. Enter your VPN Password in the Password field. 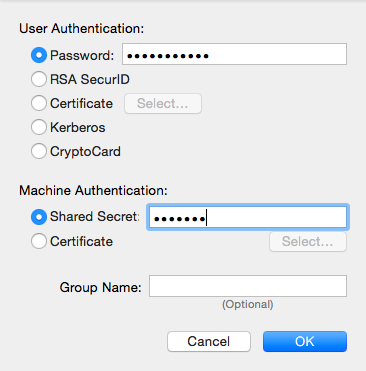 Under Machine Authentication, click the radio button for Shared Secret. 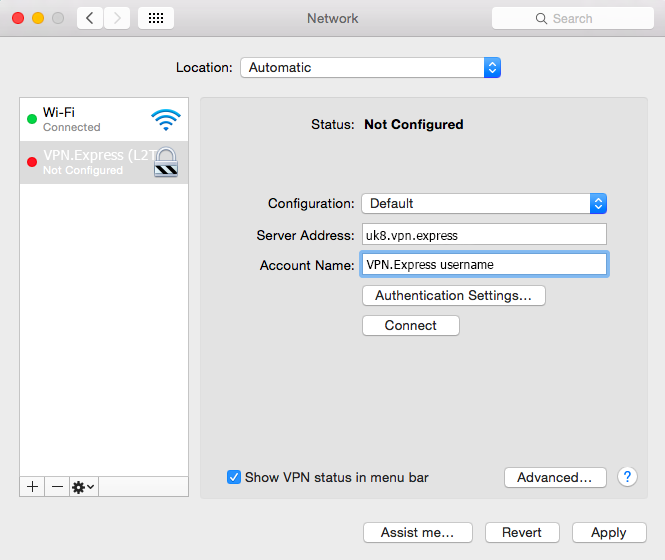 Enter vpnexpressnetwork in the Shared Secret text field and click OK, then click Apply button. 7. Click on the Advanced button. Check the Send all traffic over VPN connection check box. Click Ok and click Apply. 8. You should now be able to connect to the VPN. 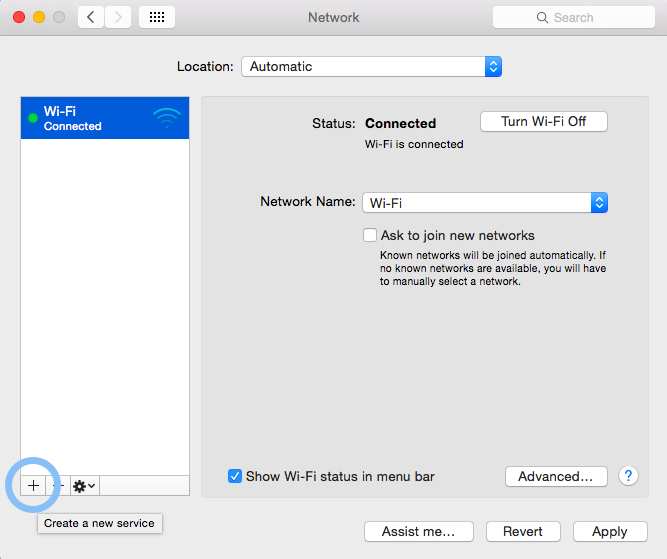 You can check the box Show VPN status in menu bar then you’ll be able to connect to your VPN from status bar.